February 12th Board Meeting has been cancelled. Please stay tuned for upcoming date! 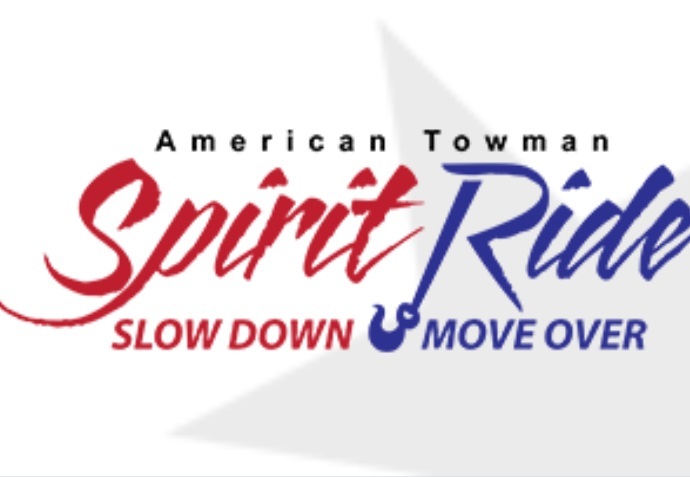 Reminder: The American Towman Spirit Ride is coming to Minnesota this week. 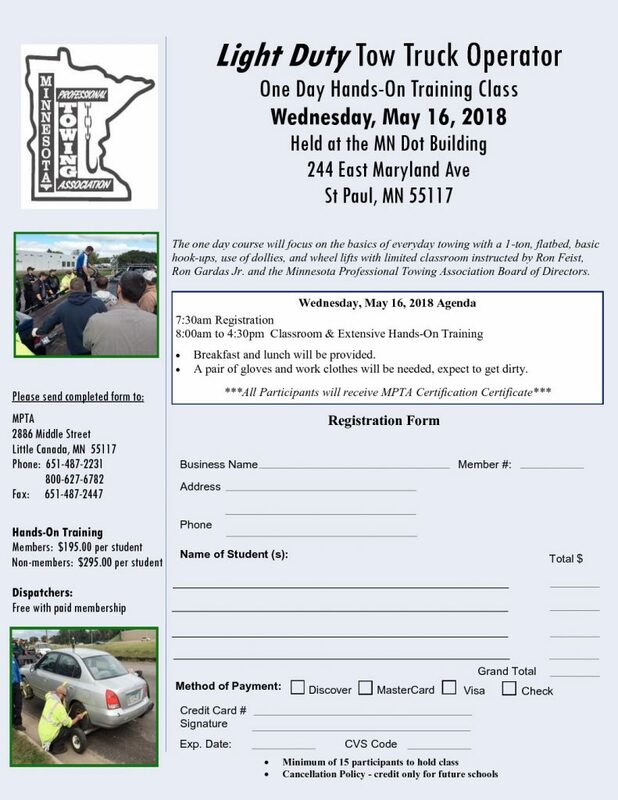 Every MPTA member should come out and support the “Move Over” law on Wednesday, June 13th! Those of you wishing to be part of the Spirit Ride Procession on June 13th may do so. There are three legs of the procession: First leg, meet at Allen’s Tow & Service located at 128 Garfield Ave. in Albert Lea at 8:45am. The second leg of the Procession will meet at McStop in Lakeville at 10:45am. 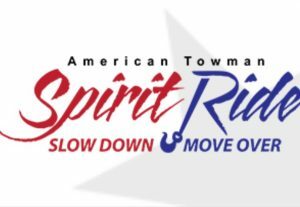 The final leg will begin at the State Capitol after the ceremony at 2:45pm as the Spirit Ride makes its journey to Bad Boyz Towing in Audubon, MN. The Spirit Ride Ceremony will begin in front of the State Capitol at 1:30pm and concludes at 2:15pm. Come out and Support your industry! June 12th and 13th the Spirit Ride will be coming through Minnesota. Currently the MPTA is Coordinating a media event promoting the “Slow down/ Move Over” campaign. MPTA is looking for members to help support the efforts of this great campaign by engaging in the event itself. Currently MPTA is working on Logistics of the event including a “Move Over Day” proclamation from Governor Dayton as well as mass coverage of the event. This campaign will include as many MPTA members as possible, law enforcement, fire, MNDOT and others. This will be a special day! Mark your calendars for June 13th and please check out the MPTA website, Facebook and emails as additional details become available. As of right now, we will meet at Allen’s Towing, 128 South Garfield, Albert Lea, MN 56007 @8:45 a.m. If you would like to join the procession, please meet us at the McStop in Lakeville, MN @10:45 a.m. Please keep checking the website, Facebook and emails for further updates.